The US-China trade tensions recently escalated with the US announcement of its decision to impose additional tariffs on $200 billion worth of Chinese imports and China’s response of imposing retaliatory tariffs on $60 billion of US goods. Compared to the first two rounds of tariffs under Section 301, the third round of tariffs, which took effect on September 24, affect a much wider range of US industries. USCBC hosted an event with member companies to discuss the implications of the tariffs for businesses and share views of the US tariff exclusion process. Speakers of the event included Eric Emerson, Partner at Steptoe & Johnson, and Brenda Jacobs, Counsel at Sidley Austin, who offered their expertise on these issues. The US-China Business Council (USCBC) was pleased to host USCBC Chairman Evan Greenberg, Ambassador Cui and ranking PRCE Officials, Assistant Secretary for East Asian and Pacific Affairs Patrick Murphy, and other USCBC members and invited guests at a luncheon to welcome new USCBC President Craig Allen. The luncheon was hosted at USCBC member Jones Day in Washington, DC. View a full gallery of photos of the event here! 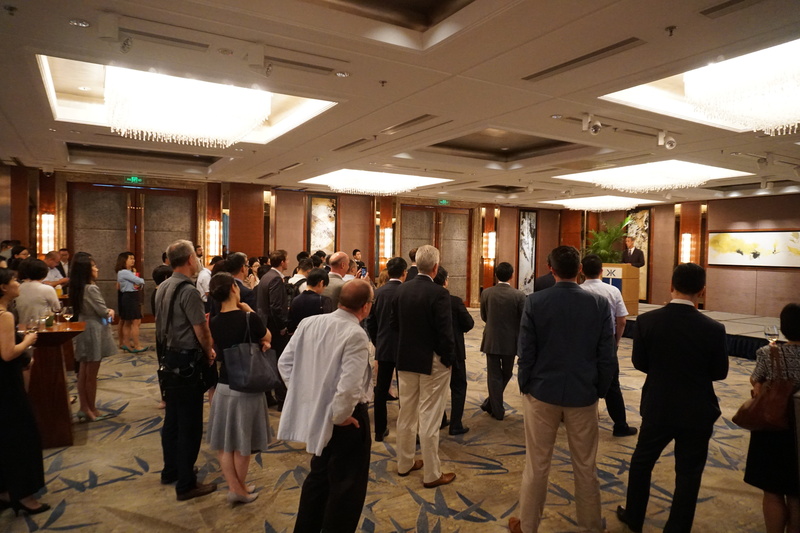 The US-China Business Council's Shanghai office was pleased to host a cocktail reception to welcome new USCBC president, Mr. Craig Allen, during his August 2018 China trip. 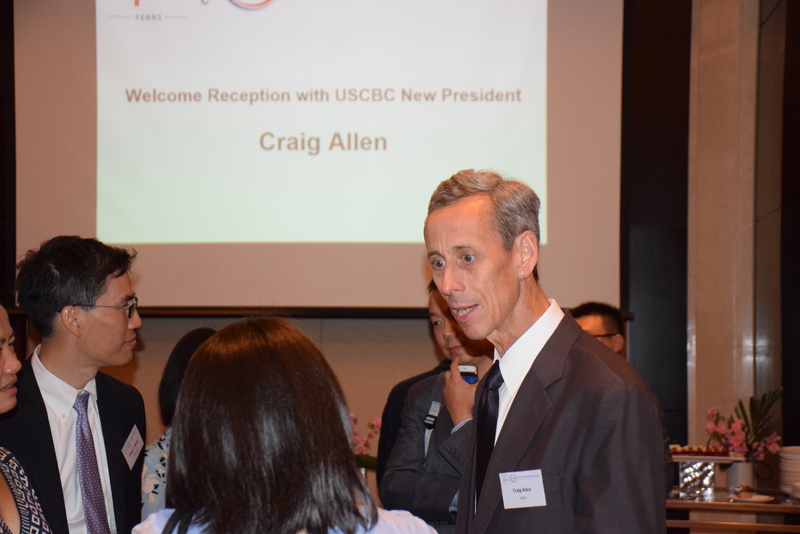 Mr. Allen was eager to meet with USCBC Shanghai-based members and share his priorities for the upcoming year. The US-China Business Council's Beijing office was pleased to host a cocktail reception to welcome new USCBC president, Mr. Craig Allen, during his China trip. Mr. Allen was eager to meet with USCBC China-based members and share his priorities for the upcoming year. The US-China Business Council (USCBC) hosted a roundtable with Shanghai Intellectual Property Court (SIPC) and Intellectual Property Tribunal of Shanghai High People's Court (SHPC) on August 9 to discuss the most recent IP court cases and Shanghai IPR priorities, especially issues related to patent. This was an exclusive opportunity for members to hear directly from officials and senior judges from SIPC and SHPC. This event provided an opportunity for an open discussion with Shanghai Courts’ IPR officials and senior judges to learn about new IPR policy developments and how companies faced with IP infringements can work with the courts. With heightened tensions between the US and China, and uncertainty in the political and regulatory environment, US companies are facing new risks. What are the challenges that companies are already facing because of heightened tensions? What should companies be doing to plan and reduce risk? And to what extent should companies be engaging government stakeholders? The US-China Business Council was pleased to host a breakfast briefing with Helen Yang, Vice President of Hill+Knowlton Strategies China, who discussed case studies of how companies have been impacted by rising US-China tensions and strategies for proactively planning and engaging with government to reduce risk. Helen Yang helps provide key counselling, and helps devise communications strategies to clients in industries covering retail, energy & manufacturing, hospitality, hi-tech, healthcare and consumer goods. She has 25 years experience working with global 500 companies and industry-leading organizations in China on corporate communications, crisis management, CSR, government affairs and training. Helen also serves at the Tsinghua Environmental Innovation Institute as the Head of Crisis Management, and served for the National Development Reform Commission as an advisor for its "One-Belt, One-Road" Promotion Center. The US-China Business Council was pleased to co-host a briefing with the China Council for the Promotion of International Trade (CCPIT) and the Ministry of Industry and Information Technology (MIIT) to discuss the implementation of China’s Cybersecurity Law and related regulations to date. The event featured colleagues from the Cybersecurity Bureau of MIIT. The status and timeline of the Critical Information Infrastructure Identification Guidance. Following changes to China's lists regulating market access, the US-China Business Council (USCBC) was pleased to host a roundtable with the Shanghai Commerce Commission (SCC), Shanghai Development & Reform Commission (SDRC), Shanghai Financial Office, and Shanghai Free Trade Zone Administration to discuss the two revised negative lists for foreign investment, as well as Shanghai’s recent 100 Measures promoting further market openings. SCC Deputy Director-general Mr. Yang Chao, who is in charge of foreign investment management in Shanghai, delivered opening remarks at the event. This also provided an opportunity for open discussion with relevant officials to learn about new policy developments and how companies can prepare themselves operationally. The US-China Business Council (USCBC) jointly hosted an investment and trade promotion event organized by the Hunan Provincial Government in Shanghai on Tuesday, July 24, 2018. The conference focused on topics including an introduction to the opening up policy of the province, discussion on strengthening economic and trade cooperation between Hunan Province and the Yangtze River Delta Economic circle, and promotion of industrial chain projects of Hunan. USCBC companies were invited to join the conference and reception dinner, where there were opportunities for senior executives (China VP-level or above) to have dinner with Governor Xu Dazhe (许达哲) and Vice Governor He Baoxiang (何报翔).